Put a little bling in your step. Give your hands and feet the royal treatment with a Swarovski Crystal Manicure or Pedicure, the latest in luxurious pampering. Individual crystals are painstakingly placed on fingers or toes to create an eye-catching, glittering alternative to varnish. The diamond look without the price tag. And yes they are 100% real Swarovski! There are various options if you decide to indulge in a Swarovski Manicure or Pedicure. For all out opulence, you can have crystals on all ten digits, or if you want something a bit more subtle, you could opt to have gems applied on your big toes or thumbs only. The crystals are set into a gel adhesive to ensure your toes look amazing for three to six weeks, depending on the type of shoes you wear. Ta-da! Instant twinkle toes. If you want to be noticed, then yes! There’s no point getting a Swarovski Manicure or Pedicure and then hiding away – with nails as pretty as these, you’ll need to flaunt them. The end result is sure to dazzle. Around 300 real Swarovski crystals are used – that’s some serious sparkle. You will seriously get noticed with these beautiful Swarovski gems. A beautiful addition to any of the Professional Beauty Manicures or Nail Enhancements. Put your feet up and enjoy this refreshing revitalizing pedicure. Your feet will be soft, invigorated and perfectly polished and Swarovski crystals applied in a beautiful daisy design at the end of this treatment. Perfect for holiday, special occasion or summertime toes. Put the spring in your step by adding the most stunning Swarovski crystals to your big toe nails. Includes a pedicure to finish the whole look. The whole nine yards, every toe nail completely encrusted in Swarovski Crystals. Includes a pedicure to finish the whole look. 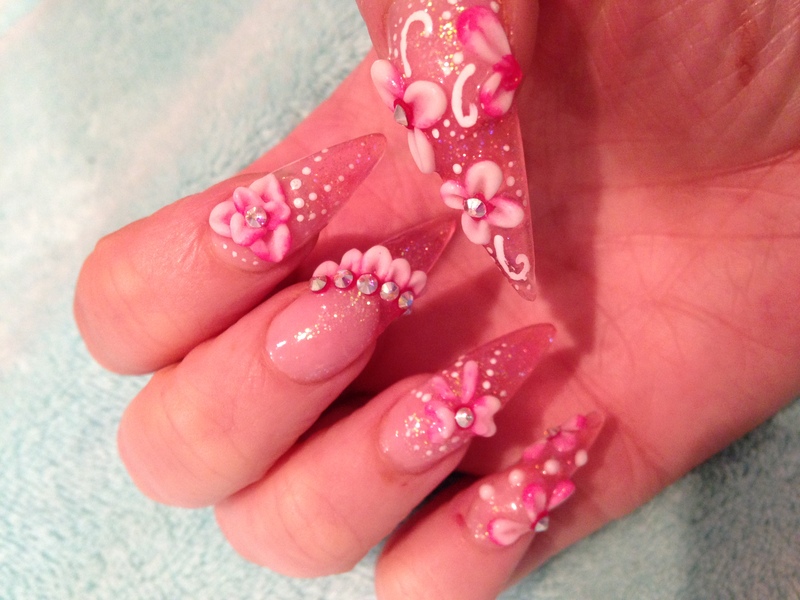 Check out our nail Galleries…. Check out our nails that have been created at Professional Beauty Care. Have a look at the colours and hand painted designs. 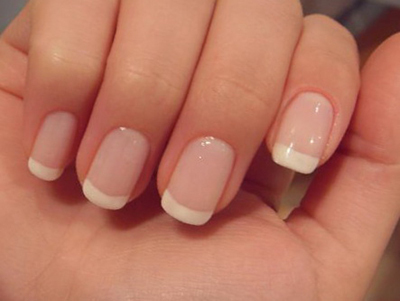 Beautiful French designs on natural and enhanced nails.